Running Press Adult, 9780762452323, 512pp. In the near future, set on the first day of the outbreak of The Death,” a big hospital in the East End of Londonalready hit by government cutbacks and increasing social unresthears reports of something happening at the All Hallows church protests. Within hours some of the patients begin to change” . . . 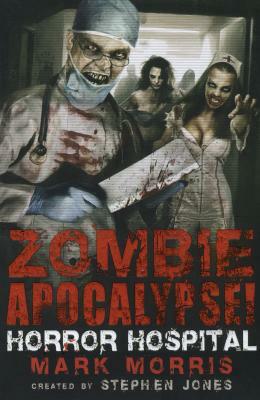 This is the next installment in the Zombie Apocalypse! series. Mark Morris is the author of twenty novels, plus many more short stories, novellas, articles, and reviews, which appeared in a wide variety of anthologies and magazines. Stephen Jones is a former television producer and director who has co-edited numerous books on horror, including the first two books in the bestselling Zombie Apocalypse! trilogy.